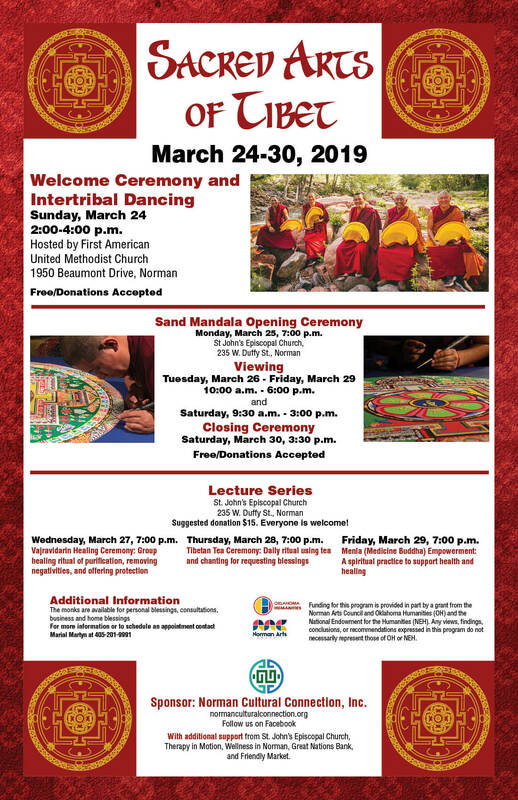 Join us for the opening ceremony of the Medicine Buddha Sand Mandala. The monks will chant and play traditional Tibetan instruments. This event is free and family friendly. Donations received during this event will support the monks. The Sand Mandala event is made possible in part by Norman Arts Council and Oklahoma Humanities.